His name means "to fish for; to look for"
That's actually really close to what is going on. This is amazing!!! The detail, the use of shadows is really effective. Really stunning work!!! Somehow my work ends up better when I'm not being serious at all. This was based off of an RP on MSN. It was AU to their canon story, but I still kind of want to finish. It might be better to leave things to people's imaginations though. That's amazing how alarge amount of black can really affect the mood of the image. I think I do better with contrast when I just work with black and white. I have trouble at getting it right when I use colors. GAHHH lovely black and white contrast. 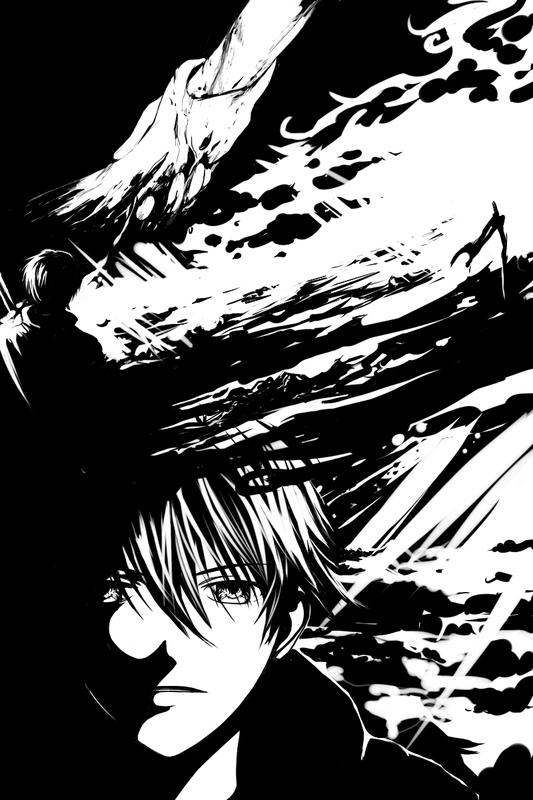 You make such simple gray-scale picture so extensive with the detail. You have really got the detail parts down!